A brand new mixed-use development offering retail opportunity at a prime East Vancouver location with strong curb appeal. This remaining unit has large windows and is conveniently located in front of a bus stop! The unit offer excellent frontage and exposure to vehicles and pedestrians on this high traffic location. Shoppers Drug Mart, Buy Low Foods, CIBC, Vancity, HSBC, Pizza Hut, Subway any many more. 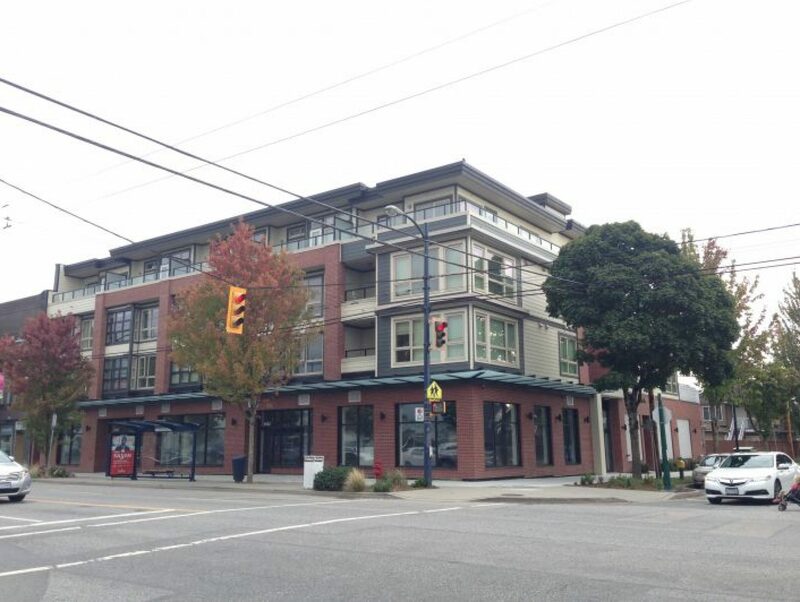 The property is located on the northeast corner of Fraser Street and East 43rd Avenue in the City of Vancouver’s Sunset neighbourhood. This property is close to John Oliver Secondary School, South Hill Education Centre, S.U.C.C.E.S.S. Education and Sir Alexander Mackenzie Elementary School.